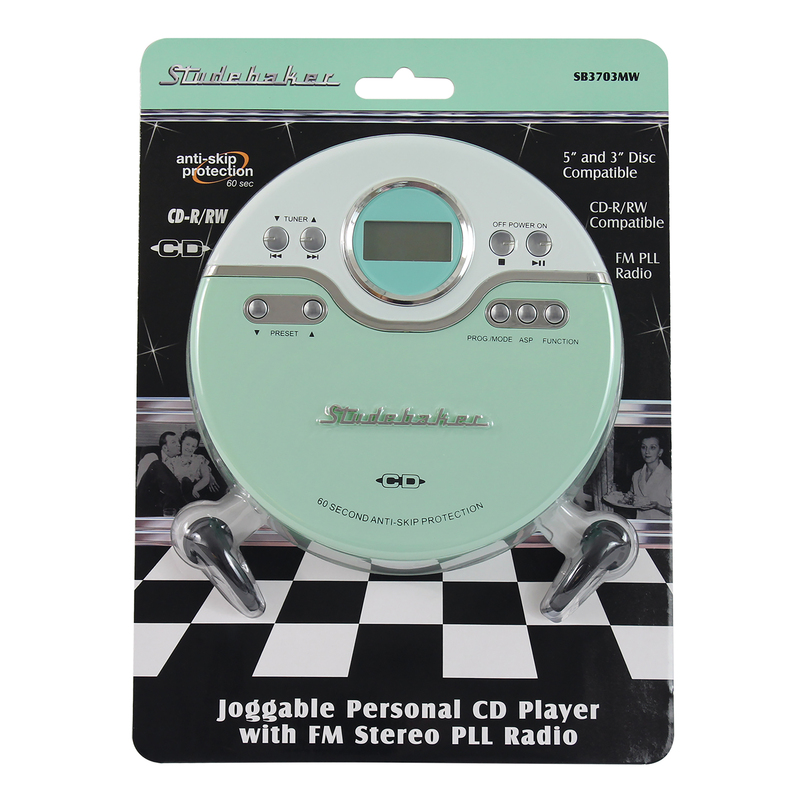 Listen to your favorite tracks on the go with the Studebaker SB3703 personal CD player with FM radio. 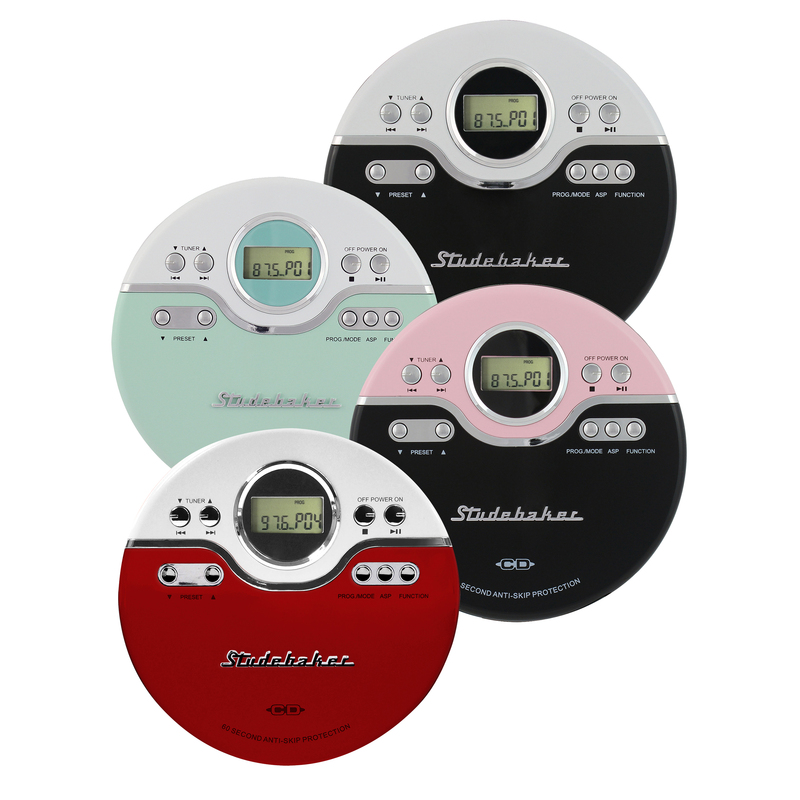 This compact, lightweight device comes in 3 colors. 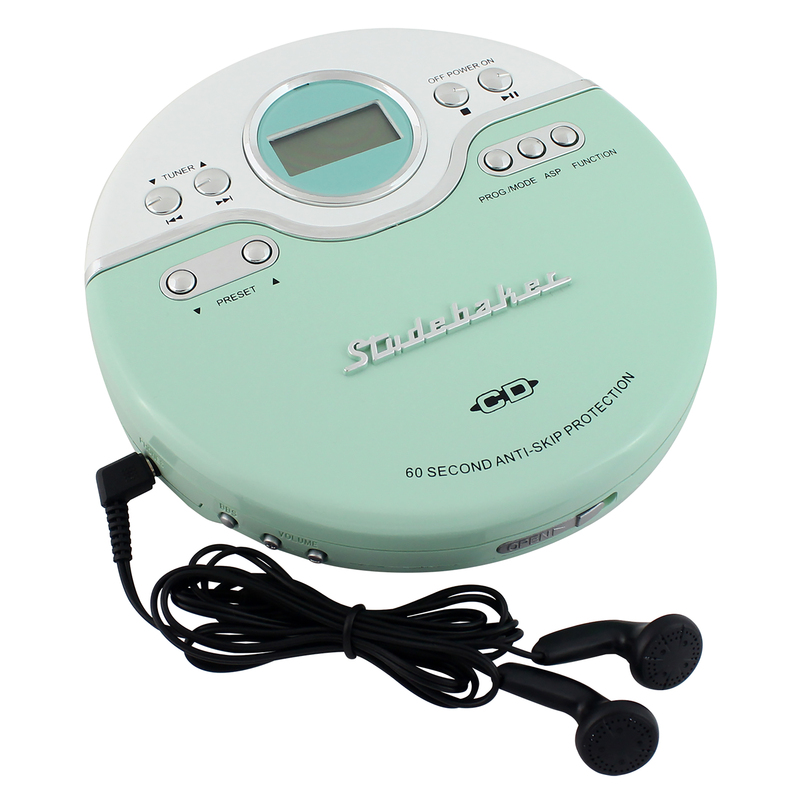 The CD player includes a headphone jack and earbuds. It features 60-second Anti-Skip protection, bass boost, digital LCD display, Skip/Search, Play/Pause, Repeat, and programmable memory. 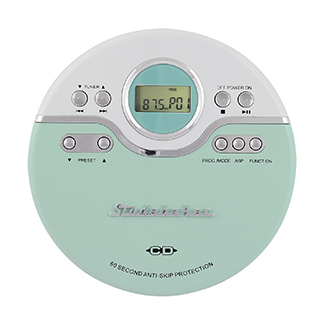 This player has a mini USB port so the unit can be powered through a computer or any other USB power source. 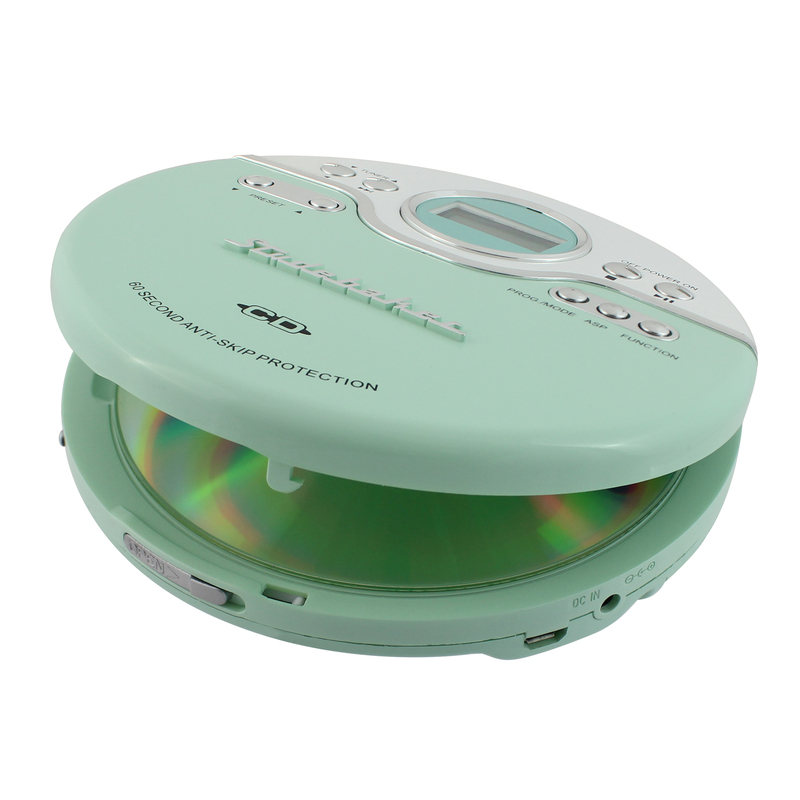 Requires two (2) AA batteries for power (not included) for portable use.